I am not the sort of person who would normally push a “cause” onto anyone. When I started this blog it was to record and tell the story of my journey in my first home, and my creative pursuits based in and for said home. 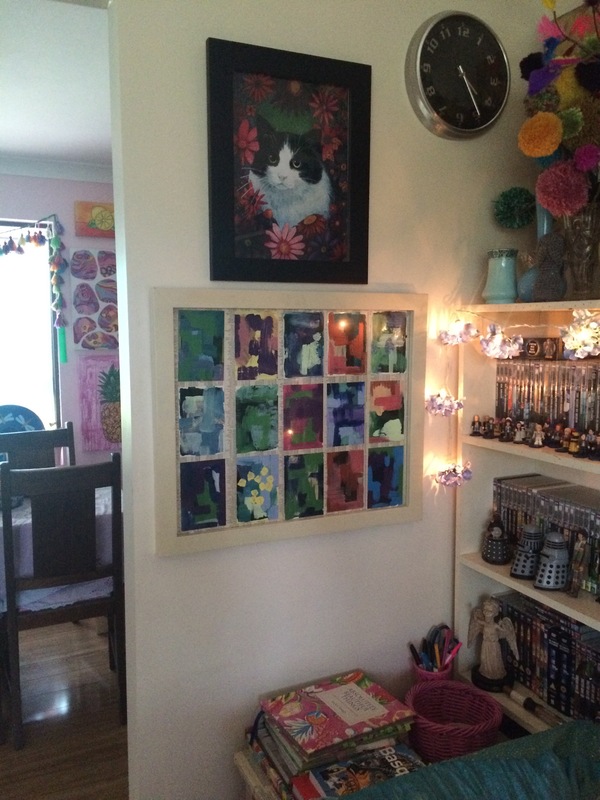 A very good friend of mine, also an amazing Artist (you can see her beautiful cat artwork in the picture above) bought her first home at the same time. Literally days apart. We were both on a similar journey, finding, creating discovering HOME. Well a few weeks ago she lost everything in a terrible fire. It’s the sort of story you see on the news, or you read in the paper, and you feel some empathy and you’re glad it didn’t happen to you. But it did happen to my friend, and it could happen to any one of us. Most of us are under-insured and ill-prepared for something like this, just like my friend. We’re just lucky. Well, she wasn’t. She is struggling and going through a really rough time, with no real idea what her future holds. She is incredibly strong, with good friends to support her emotionally, but what she really really really really needs, is money. On the urging of us, her friends, she has created a Gofundme campaign , and I am humbly asking for you to donate. If you can. Even $5, less than the cost of a sandwich will help her get back on her feet, and find once again something we all take for granted- a place to call our own, a roof over our head, somewhere we can feel safe. Sorry if you feel preached at, I would not want any of my readers to feel obligated to donate to the cause of someone they don’t know, but I ask you to click the link above, read her story and, if you feel moved to do so, donate a few dollars to her campaign to get back on her feet. Thank you. From the bottom of my heart, for reading this post.